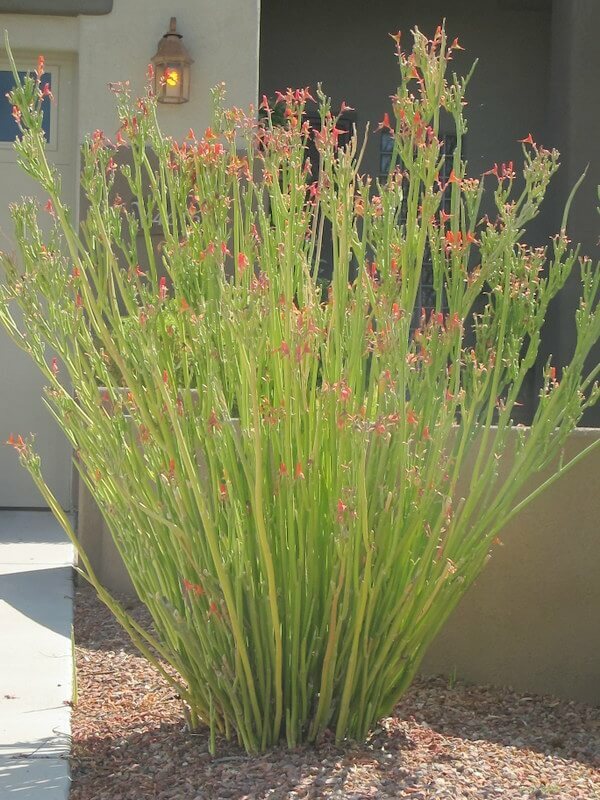 This tight-clumping, dwarf aloe offers a dense rosette and grows to eighteen inches tall and two feet wide. 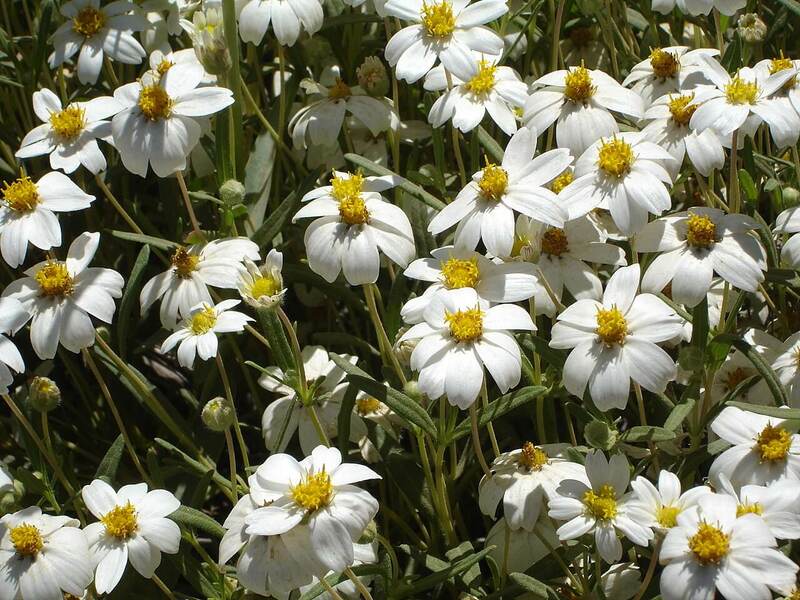 It is mainly stem-less with narrow, silvery-bluish-gray leaves that grow upright. There are small, sharp teeth along the margins that are reddish-brown in color. 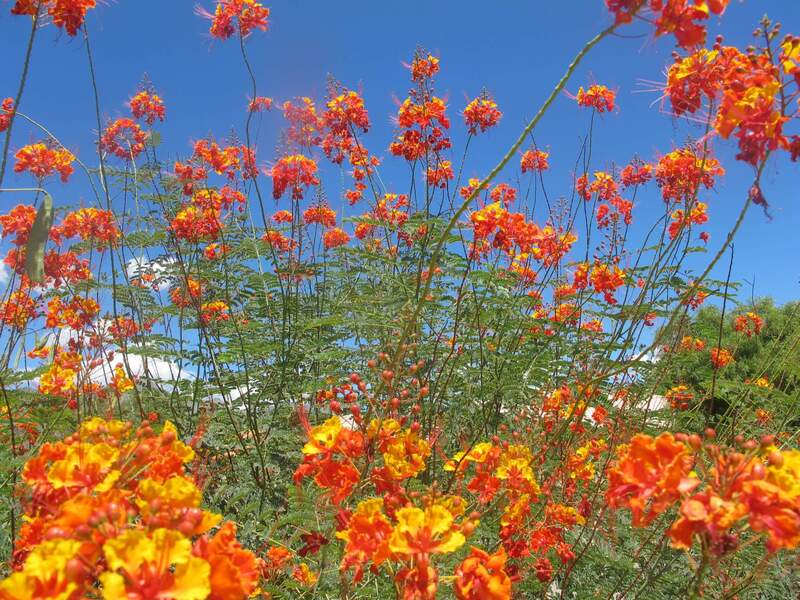 The plant explodes with showy spikes of orangey-red blooms in late winter through early spring. This is a long-blooming aloe with lots of vibrant color, and the flowers attract hummingbirds. It also produces many offsets that can be used for propagation. 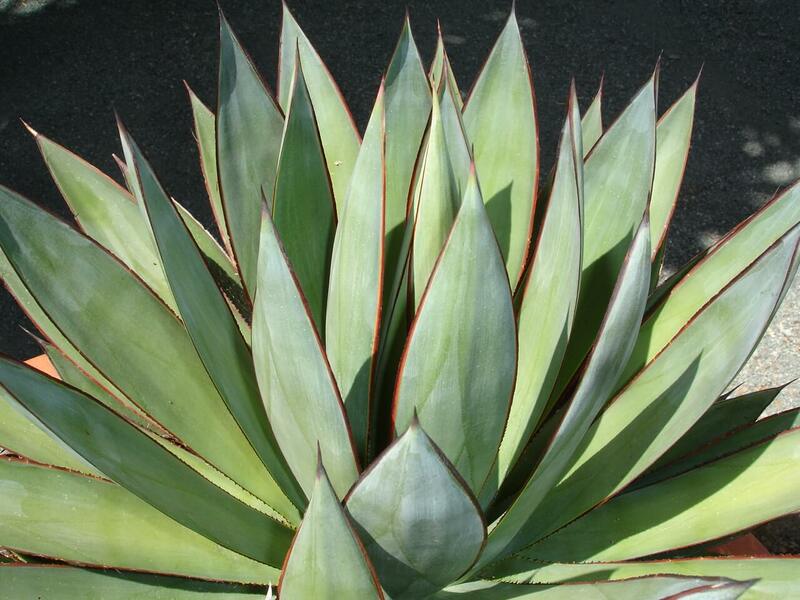 Since this aloe is low-growing and clumping in form, use it in containers and rock gardens or with cacti and succulents. Also use it in bird and hummingbird gardens, in masses with other low-water plants, or along ponds, fountains, or swimming pools. The plant is a hybrid, but the natural form is believed to be native to north Africa in the Canary and Cape Verde Islands. 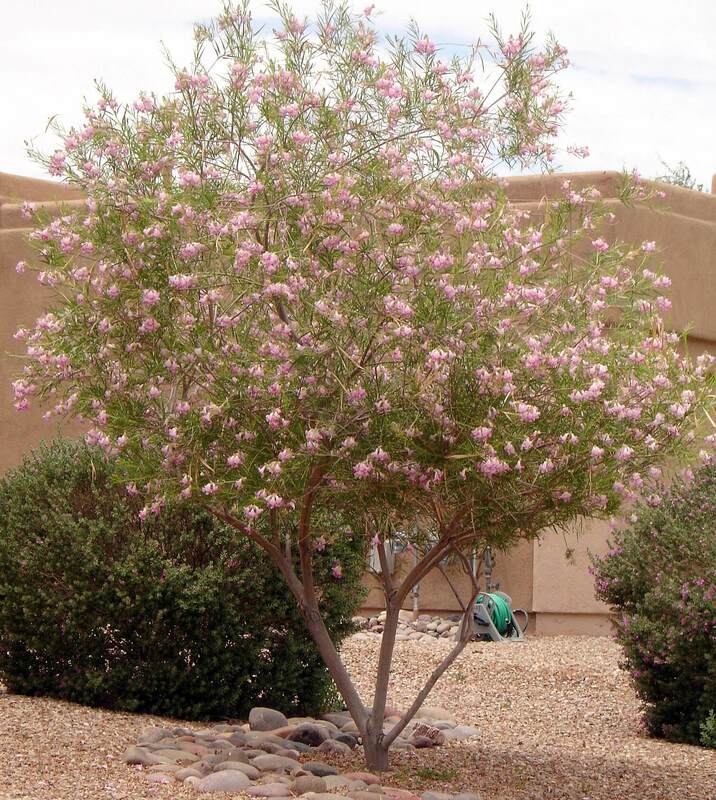 The plant likes full sun to partial shade, and is drought-resistant, but prefers occasional, supplemental irrigation during the hot, dry season. 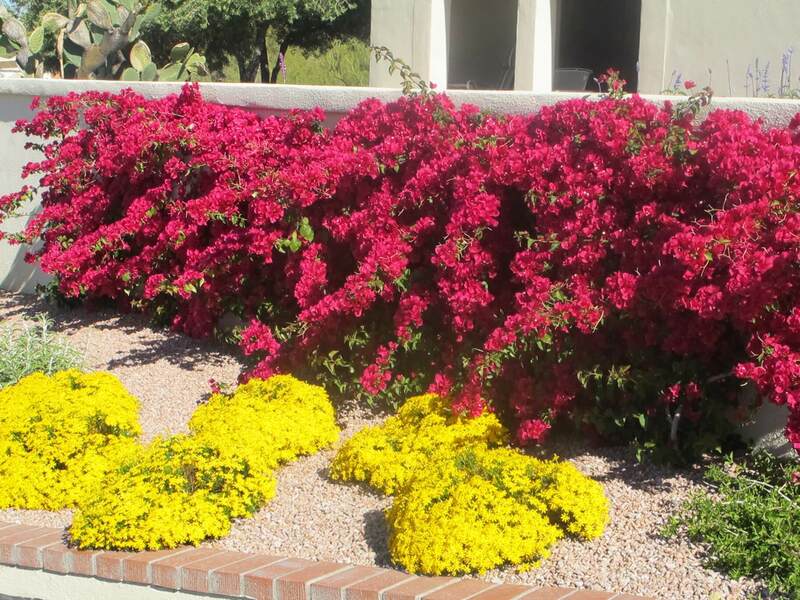 It is hardy to twenty to twenty-five degrees Fahrenheit and prefers gravelly or sandy, well-draining soil to look its best.